We travel to Pretoria to take on Mamelodi Sundowns tomorrow night in the ABSA Premiership. 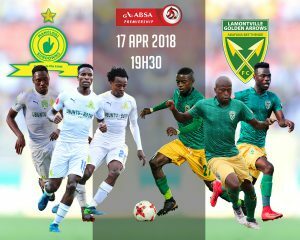 The game is set to kick off at 7:30pm at Loftus Stadium. With just four games left in the season, this encounter is going to be a tough test for the teams ability to perform under pressure. We need to bring points home, and this will be the first and foremost objective of the squad as we take on this away encounter. In a season that at present, sees just 3 points separating log positions seven to thirteen its important to retain any points possible. The attitude in camp is good. 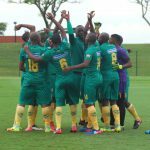 We have come off an away win to Cape town City and a draw to Free State Stars, a game that we should have won given the opportunities we created. This could carry us well against Bafana ba Style who are sitting strong on top of the log at the moment. We will need to dig deep to stop their run of wins as they have taken full points against Chippa United, Baroka FC and most recently Bidvest Wits in the competition. It is a big ask of the side, but not an impossible one. The game will be televised on SuperSport 4, and as always we will keep you informed of the game over our social media platforms.